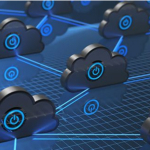 The Social Security Administration is seeking potential vendors that could provide tools to support the automated management of the agency’s multi-cloud environment. The SSA issued a request for information notice on Friday, stating that it plans to expand its cloud solution, which is currently running on Amazon Web Services, to include Microsoft Azure and other service providers. Potential vendors must be capable of providing a cloud management platform that is either hosted at the SSA’s facilities or is hosted on a Federal Risk and Authorization Management Program-compliant environment. Potential vendors must also assist in the design and implementation of the CMP as well as its integration with AWS and other tools. Interested parties have until March 1 to submit responses.